October 31st is our halloween dance & activities day. FUN! FUN! FUN! 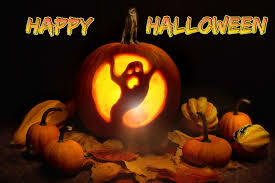 We are looking forward to our annual Halloween Activities & Dance. Bring a quarter for your chance to guess how many jellybeans are in the jar. Closest guess wins a prize. Also, wear a costume for your chance to win a prize. There is also a pumpkin decorating contest. One prize is a lunch with the principal. Reminder: Costumes must be appropriate and safe for a school setting. We ask you to leave masks and replica weapons at home as they are not allowed at school. If you would like to send items to school, you may send erasers and pencils or any other non edible items. Due to allergies, we do not allow sharing of food. We will have approved items for sale for a toonie. Our amazing Catholic School Council has graciously offered to contribute to the cost of this fun event. We are asking students to contribute a Toonie ($2) to help defray the cost of the DJ.